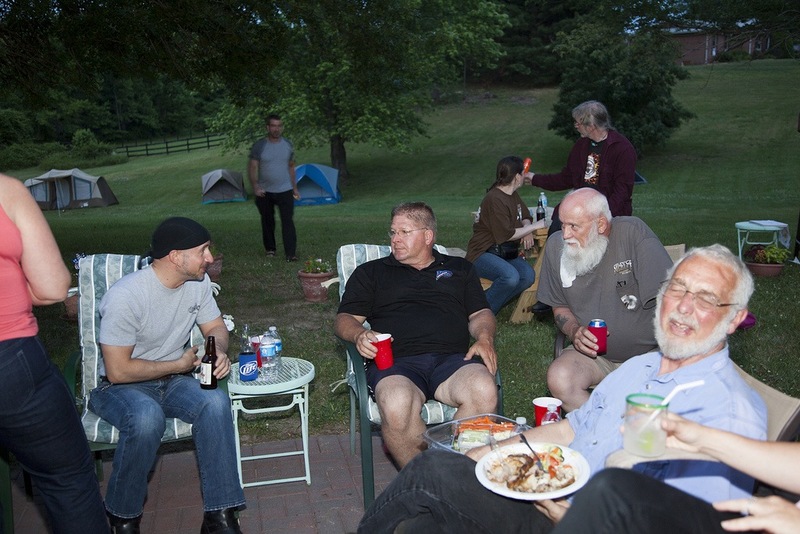 The group engaged in various conversations at the party. In the background, you can see Ghost and Karen offering some bug spray to the approaching Yo Adrian. This photo graciously provided by Pete. Copyright 2012 Peter Fountain. All rights reserved.